Juliette Adie is a solicitor based in North Shields providing legal services to clients in Whitley Bay, Monkseaton, North Shields and surrounding areas. She was born and brought up in Cullercoats, a fishing village situated between Whitley Bay and Tynemouth on the North East coast of England, ten miles east of Newcastle upon Tyne. Although her family originate from Tynemouth, Juliette's grandparents later moved to Cullercoats where they ran the local general grocers for many years. Juliette graduated from university in Newcastle upon Tyne in 1992 and qualified as a solicitor in Blyth, Northumberland in 1994. Since that time, Juliette has undertaken estate planning and prepared many thousands of Wills for her clients in Whitley Bay, North Shields and throughout North Tyneside and Northumberland. 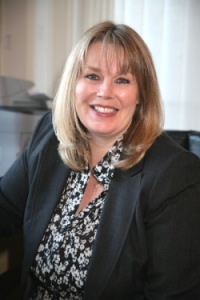 She has gained a wealth of experience in Wills, estate & tax planning, powers of attorney and matters affecting the elderly throughout North Tyneside, Newcastle upon Tyne and Northumberland. Juliette has continued her studies and taken further exams to become a member of the Society of Trust & Estate Practitioners, the Association of Taxation Technicians and is Fully Accredited by Solicitors for the Elderly. This additional knowledge ensures that the legal advice given is accurate, up to date and complete. Related matters can be raised and considered that many less knowledgeable advisers may overlook. For example, tax or long term care planning opportunities may be available at little or no extra cost when considering a new will. Overlooking these matters could prove expensive in the long term and substantially reduce the assets available to pass on to your family. Getting older brings all sorts of problems. As a Fully Accredited Solicitor for the Elderly, Juliette is trained to help more mature clients. Juliette is often complimented on her patience as she takes time to talk to clients, to clearly understand exactly what is required and gives advice relevant to the questions raised. She strives to avoid legal jargon to ensure that the estate planning advice given is not only accurate but understandable.